After 4 months of living with my in-laws, our little family has finally purchased a new home and are currently in the midst of moving in (hence, my lack of posts, my apologies!). It’s bitter-sweet as I’m excited to have my own home again (especially my own kitchen!) and separate bedrooms for the boys. But I’ve certainly come to love my mom-in-law’s home cooking (that I’ll really miss), not to mention, our in-house baby-sitters who love playing and entertaining the kiddos. 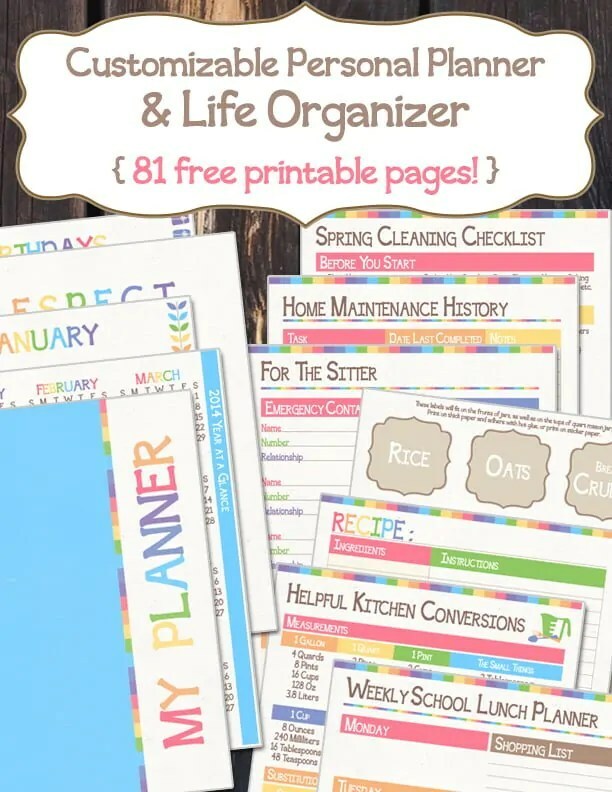 What I love is that it includes monthly calendars, inspiring quotes, budgeting and cleaning sheets (and lots more!) as well as pantry staples, kitchen conversions and even recipe cards and labels for jars. The pages are colourful and pretty (you can choose between two patterns – hearts or leaves), which makes wanting to be organized just that much more fun! Do you have any tips and/or tricks to being organized at home?